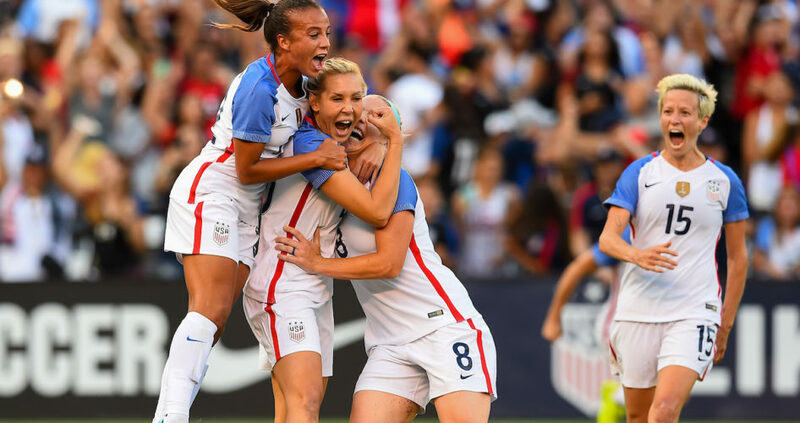 The U.S. women's national soccer team will play Brazil in the 2018 Tournament of Nations on Thursday, August 2 at 5:30 p.m. Pacific Time at Toyota Park in Bridgeview, Illinois. The 2018 Tournament of Nations is a round-robin friendly competition within the United States featuring four of the top teams in the world. Along with the USA and Brazil, Australia and Japan are participating in the tournament. Portland Thorns players Tobin Heath, Lindsey Horan, Adrianna Franch and Emily Sonnett are with the USWNT and could feature in the game. What: The U.S. Women's National Team will take on Brazil in the 2018 Tournament of Nations. When: Thursday, August 2 at 5:30 p.m. Pacific Time. Where: Toyota Park in Bridgeview, Illinois. TV Channel: Fox Sports 1 (In Portland: Comcast 408/723).